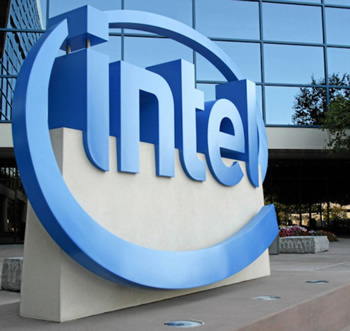 Biswamohan Pani, a former engineer for both Intel and AMD, has plead guilty to five counts of fraud centered around the theft of sensitive Intel documents. The stolen information, valued at an approximate total of $1 billion, included chip-related design and manufacturing data. It is thought Pani intended to use the information for purposes of career advancement. However, AMD denied knowledge of Pani's wrongdoing and has cooperated fully with federal investigators. AMD official, Mike Silverman, has assured us that, "AMD respects the intellectual property of other companies. AMD was completely unaware of Mr. Pani’s actions until we were contacted by the FBI, and we provided our full and prompt cooperation with the investigation." Pani had worked at Intel's Hudson-based chip making plant located in Massachusetts before he submitted his resignation on May 29, 2008. Although his last day at Intel was June 11, Pani began his new job at AMD on Jun 2 while simultaneously retaining access to Intel's network. During this time, he had been downloading sensitive documents centered around Intel's manufacturing and chip designs. Corporate espionage and intellectual property theft -- be it the theft of trade secrets, schematics or other proprietary information -- can be extremely lucrative in the right hands. Investigators have found no links between AMD and Pani however, in terms of willful espionage. Intel quickly learned of the breach and stopped the engineer from pilfering documents before he could "use them to Intel's disadvantage". With Intel's help, federal investigators recovered approximately $200-$400 million worth of stolen information from Pani's home. Pani, originally charged in 2008, may face up to 20 years in prison for each of the 5 counts of fraud brought against him. Sentencing is scheduled for August 8.